When it comes to timing belts, it’s all in the name. The timing belt keeps your car’s valves, pistons, camshafts and crankshaft all rotating in sync. This belt controls when the camshaft(s) opens and closes the intake and exhaust valves, and it controls the crankshaft, which moves the pistons up and down inside the engine cylinders. Timing belts are very common, especially in four-cylinder engines. That being said, there is no hard, fast rule about which vehicles have timing belts and which ones have timing chains. 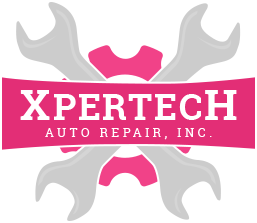 Your best is to look it up in your owner’s manual or to ask your friendly team at Xpertech in Englewood Florida. Why Do I Need to Replace my Timing Belt? Over time and miles, timing belts become worn, and this isn’t something you want to gamble with. There are few, if any, warning signs before a timing belt snaps, and if it does, your car or truck will stall immediately and come to a stop, breaking down wherever you happen to be. This means a call to a tow truck and an unexpected auto repair bill—and this is the best-case scenario. Timing belts are nearly impossible to visually inspect, and they do not show signs of cracking and wearing. The best insurance is to replace the timing belt according to your vehicle’s factory-recommended maintenance schedule. When it comes to car servicing, timing belt (cambelt) replacement is without doubt the most important serviceable component of a car’s engine. The timing belt has an incredibly important job controlling the camshafts in the engine and keeps it running smoothly, if left unchanged and it breaks, it can seriously lighten your wallet. It is important that you know the change interval of your timing belt as going over the manufacturers’ recommendation can lead to a slipped or snapped belt. In many cases this requires a new engine or engine build costing hundreds if not thousands of dollars.